Ikimasho! x RBMA: Diggin’ in the Carts | IKIMASHO! A new six-part documentary series about Japanese video-game music is about to hit your screens. With Red Bull Music Academy coming to Japan for the first time in October, Tokyo is gearing up for a number of high-profile shows right across the city. 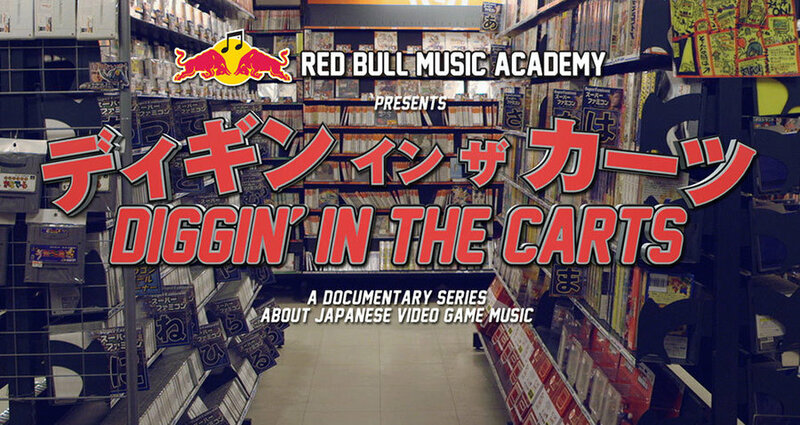 To coincide with the event, filmmakers Nick Dwyer and Tu Neill have produced a six-part documentary series – Diggin’ in the Carts – charting the history of Japanese video game music from the 8-bit era up to now. The series features exclusive interviews with some of the greatest composers of the genre, including Hirokazu Tanaka (Tetris), Yuzo Koshiro (Streets of Rage) and Nobuo Uematsu (Final Fantasy). Alongside this are contributions from some serious names in the electronic music scene: Flying Lotus, Dizzee Rascal, Just Blaze, Joker, Fatima Al Qadiri, Kode9, Havoc, J-Rocc and Ikonika – explaining how they themselves have been heavily influenced by video game music. Ikimasho! spoke to Nick ahead of the premiere of Diggin’ in the Carts, which airs on Thursday 04 September. Check out the interview – and the trailer for the series – below. It’s a pretty ambitious project: when did you first get the idea for Diggin’ in the Carts and decide to make it a reality? For me, playing FFVII as a teenager was when I fully realised the art behind video game music. What soundtracks stick out in your head as a kid? I had a Super Famicom growing up so the soundtracks for the Dragon Quests and the Final Fantasys stick out – especially Final Fantasy VI – unbelievable soundtrack. Another favorite was a lot of the Capcom stuff, especially the soundtracks composed by Mari Yamaguchi, she’s got such a distinctive sound – one of my favorites from her was Super Ghouls ‘n’ Ghosts. Also I never owned one growing up – but would always rent a MegaDrive from our local video shop and the two games we always rented were Sonic & Streets of Rage. Yuzo Koshiro having his name on the title screen as well just elevated him to god status when you were that age. And can’t forget some of the Gameboy soundtracks – Castlevania II & also I had this game called ‘X’ – one of the tracks ‘Tunnel Scene’ is so killer. It’s like proper Italo-Disco. Incredible stuff. What was the highlight for you? Working directly with Nobuo Uematsu (Final Fantasy) and Yuzo Koshiro (Streets of Rage) must have been pretty cool. To many highlights man, 10 year old me was pinching himself the whole time. All of them are just so super cool. Tu and I made a point earlier on that we didn’t just want the series to be shot only in Tokyo and we were lucky that a lot of the composers took us to where they were from. Michiru Yamane took us to Takamatsu in Shikoku which was amazing, Hip Tanaka to Kyoto & one of my favorite shoots days was hanging out with Masashi Kageyama in Shizuoka. Amazing place and such an amazing guy. In Japan, game soundtracks – as well as anime compositions – are highly respected. Entire sections of music stores are dedicated to them. Do you think this popularity will ever transfer to the west? Ha, sometimes it feels like Japan is the last bastion of actually having a record shop culture so i’m not sure if sections will pop up in record stores in the west. But no, in terms of do I see game music becoming more popular in the west? I guess a lot of composers Nobuo Uematsu and Koji Kondo are known in the west. And over the years Square Enix have been doing an amazing job with things like Distant Worlds & Final Symphony of bringing game music to western audiences. I think one of the biggest problems for western fans is the lack of information online, there’s bits & pieces but alot of what does exist is in Japanese so it’s hard to find. Hopefully off the back of the series people will know a little more & be able to find more of the music that they grew up on. You’ve had heavy support from the likes of Flying Lotus, Kode9, Dizzee Rascal. Did you expect such a positive response from so many luminaries? These guys were all heavily inspired by Video Game Music, so when I approached them they were all very interested. In fact nearly everyone that I hit up to be in it bar one we managed to get in the tiny window that we had flying around the world. Why do you think so many producers these days have been directly influenced by video game music? Is it a nostalgia thing – that it was their first real introduction/exposure to electronic music as a kid? You said it just then – for many of us the music of video games was our first contact with electronic music. But it’s not just nostalgia, each one of those chips in those different machines had its own unique personality and you they still to this day sound so sparkly and amazing. Of course, the whole thing has now gone full circle: producers who have been influenced by video game music are now bringing their own retro chiptune and 8-bit productions to the club. It’s nice to see so much creativity, isn’t it? It is man – it’s a wonderful sound. And when you hear those tones on a PA it mashes up the dance. How do you see the future of video game music evolving? With bigger orchestras and detailed compositions, is the original 8-bit sound in modern gaming dead? Well the original 8-bit & 16-bit sound died a long time ago in video games, when the consoles evolved so did the music and it became more ‘real’. With bigger budgets it became possible to do things in a similar way to how movies are scored. I’m not saying that’s a shame, because there’s some great orchestral music being made today for games. However a couple of things – I do think it’s a shame when games license music that was never intended for the game in the sense that there is something great about a composer specifically making music to enhance a players experience in that game. And for me personally – regarding the music of 8-bit & 16-bit music. There is something so wonderful which is paralleled through the evolution of electronic music about producers squeezing the most out of the limitations to make something truly wonderful and unique and that’s exactly what all of that music is to me. Lastly, gotta ask: Streets of Rage or Golden Axe? No contest – Streets of Rage. Diggin’ in the Carts premieres over at redbullmusicacademy.com on Thursday 04 September. The first episode – The Rise of Video Game Music – will take a look at the earliest sounds to emanate from the first gaming devices, featuring contributions from J-Rocc, Kode 9, Thundercat and Anamanaguchi. 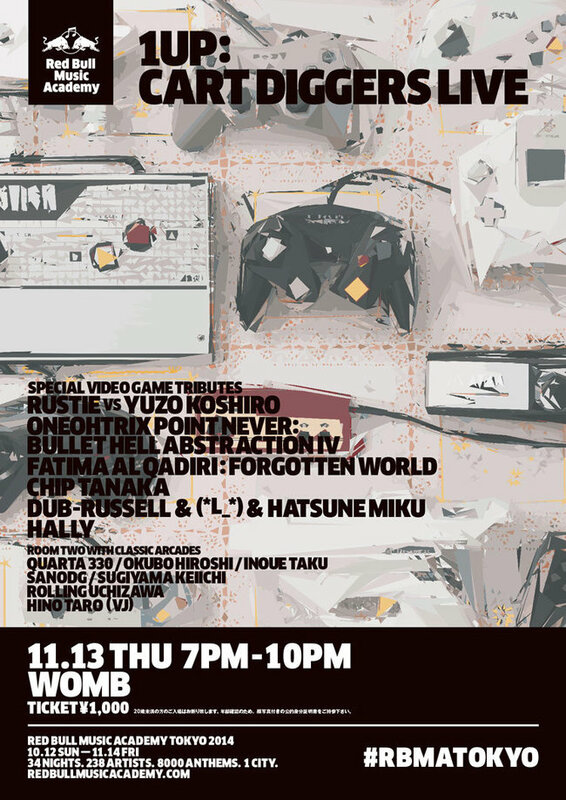 Meanwhile, if you are in Tokyo on Thursday 13 November, be sure to check out 1UP: CART DIGGERS LIVE – which includes Rustie (Warp records) constructing a set around the music of Streets of Rage composer, Yuzo Koshiro.